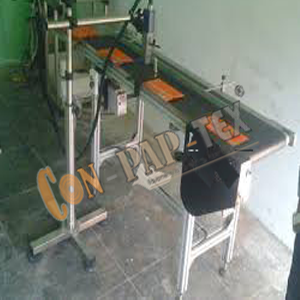 ConPapTex manufacturing high range of qualitative assortment of Conveyor For Inkjet Printer. It is conveyors including inkjet coding conveyors & printing equipment conveyors. It is enabling process for High Speed Destacking Conveyor – Carton. It is enabling application for many industries like chemical, mechanical, FMCG, medicine and many more with high efficiency, also applicable for various conveying of materials. It is also designed en masse for light weight, small size, good sealing, and easy for installation and maintenance.